Introducing my first ever completed doll. I am pretty happy with my first effort at doll making. Flaws and all. I will keep those a secret but I will say there are a few. 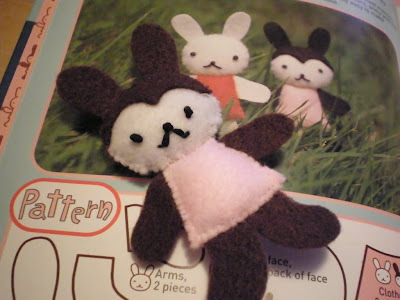 She wouldn't have been made at all if I didn't have a bloggy friend talk me into a doll swap! 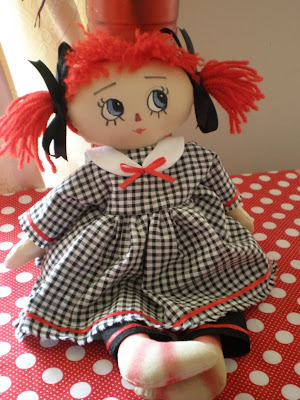 I mentioned a wish to learn to make a doll and now I have. I learnt so much making this doll, from staining the body to making hair. I used this pattern and tutorial from Lillie Mae's Crafts found here. I didn't follow her instructions on hair making but used this tutorial instead. Lastly, her collar is something I whipped up from a pattern I drew. I was trying to make a sailor's collar. If I make a dress with sailors collar again I will be enlarging the pattern I made. Oops! Just realized I didn't take a photo of the back view and she has gone off to live with her new family! Love this pattern! So cute! These platypus's were one of a number of unfinished projects. I finished them in late July. Yes, a bit slow to blog about them but that's life for you! "So much to do, so little time" is my life! Anyway! For those that have the Australian Homespun Magazines, the pattern can be found in Vol 10, Issue 1. For those that don't have the magazine you can purchase the pattern from Kate of Two Little Banshees fame. 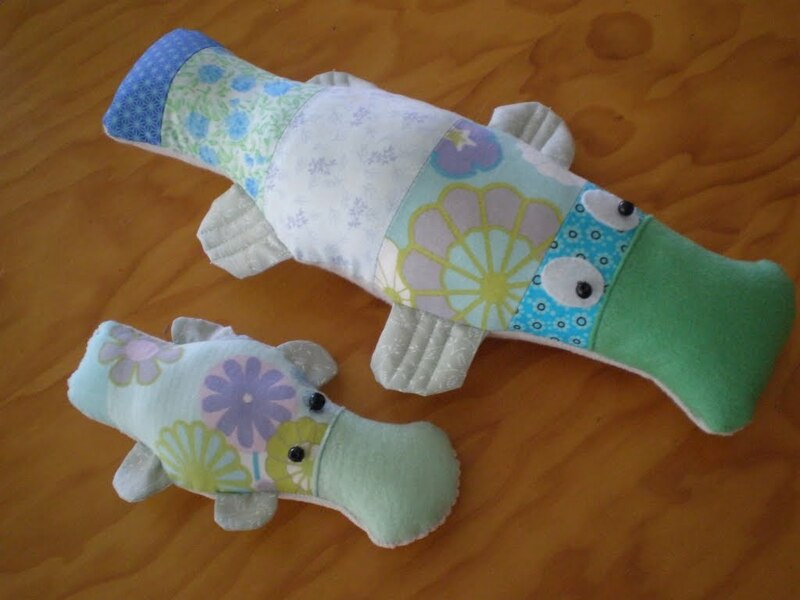 Her etsy shop is full of the cutest softie patterns ever! I really want to get my hands on her elephant pattern one day. More little posts to come. I have been pottering around doing bits and pieces and have totally neglected my bags making! Had to pack up for a scrapbooking party and now can't find some ruffles I cut out for a bag. I am sewing some things that are for swap partners and other friends so I can't show them yet (Explains my lack of posting on my blog! lol). I did find a unfinished project my daughter started AGES ago. I took it into the living room, where it was warm and cozy, and finished it in front of the telly. You can come over and pick it up whenever you want Jess. This felt mascot is from "The Cute Book". Author is Aranzi Aronzo and is one of my favourite designers of cuteness. I have several of their craft books and one day hope to make some of the cute softies .